Kentucky Scrap Metal Dealers Insurance. It is important for all businesses to have appropriate levels of insurance in place. This protects the company against unexpected loss and ensures that there are funds available to settle any lawsuits, disputes, or other similar claims. Kentucky scrap metal dealers insurance also protects your business should something go wrong at your plant, including fire, break-in, spills, or injuries. The only way to ensure that you are fully protected is to speak with a qualified insurance broker and purchase products that are relevant to your business operation. Learning more about KY scrap metal dealers insurance is a great place to start. Kentucky scrap metal dealers insurance protects your business from lawsuits with rates as low as $97/mo. Get a fast quote and your certificate of insurance now. 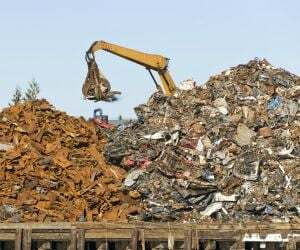 KY scrap metal dealers are veru busy on a daily basis. Drivers travel to pick up metal, customers enter the scrap yard to drop off materials, and employees operate heavy machinery to sort and prepare inventory for delivery to a foundry or other customer location. Kentucky scrap metal dealers insurance is not just a single policy. It is typically a package consisting of numerous polices, offering protection against a wide range of potential problems. Each insurance company includes a different combination of policies in their scrap metal insurance packages. Who Should Invest In KY Scrap Metal Dealer Insurance? 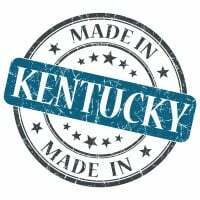 Request a free Kentucky Scrap Metal Dealers Insurance quote in Alexandria, Ashland, Barbourville, Bardstown, Beaver Dam, Bellevue, Benton, Berea, Bowling Green, Brandenburg, Cadiz, Calvert, Campbellsville, Carrollton, Central, Cold Spring, Columbia, Corbin, Covington, Crescent Springs, Crestview Hills, Crestwood, Crittenden, Cynthiana, Danville, Dawson Springs, Dayton, Douglass Hills, Eddyville, Edgewood, Elizabethtown, Elsmere, Eminence, Erlanger, Flatwoods, Flemingsburg, Florence, Fort Mitchell, Fort Thomas, Fort Wright, Frankfort, Franklin, Georgetown, Glasgow, Graymoor-Devondale, Grayson, Greenville, Harrodsburg, Hartford, Hazard, Henderson, Highland Heights, Hillview, Hodgenville, Hopkinsville, Hurstbourne, Independence, Indian Hills, Irvine, Jeffersontown, La Grange, Lakeside Park, Lancaster, Lawrenceburg, Lebanon, Leitchfield, Lexington-Fayette, London, Louisville, Ludlow, Lyndon, Madisonville, Marion, Mayfield, Maysville, Middlesborough, Middletown, Monticello, Morehead, Morganfield, Mount Sterling, Mount Washington, Murray, Newport, Nicholasville, Oak Grove, Owensboro, Paducah, Paintsville, Paris, Park Hills, Pikeville, Prestonsburg, Princeton, Prospect, Providence, Radcliff, Richmond, Russell, Russellville, Scottsville, Shelbyville, Shepherdsville, Shively, Simpsonville, Somerset, Southgate, Springfield, St. Matthews, Stanford, Stanton, Taylor Mill, Union, Versailles, Villa Hills, Vine Grove, Walton, West Liberty, Wilder, Williamsburg, Williamstown, Wilmore, Winchester and all other cities in KY - The Bluegrass State.